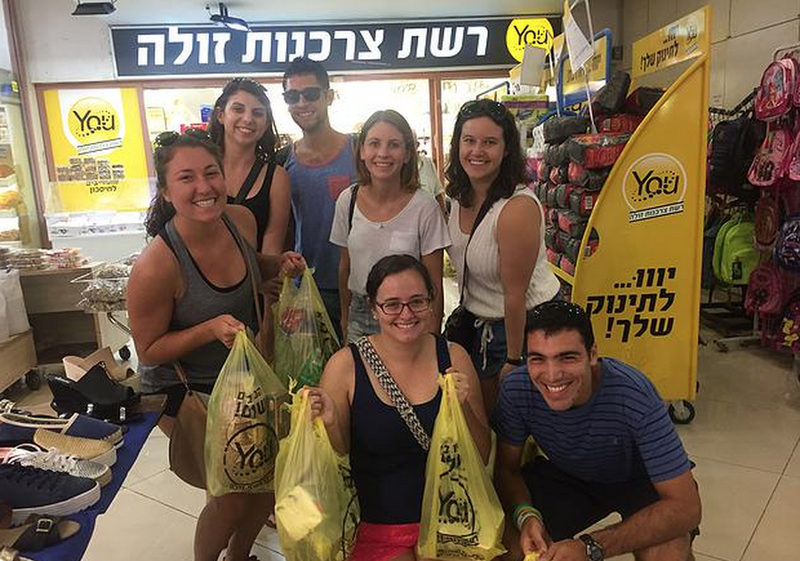 Today’s blog was written by a participant in Yahel‘s Repair the World Onward Israel Service Learning Initiative in Be’er Sheva. Approaching Kalisher absorption center for the first time, I was presented with a lackluster apartment complex. With decaying walls and unkempt hallways, I was unimpressed with the conditions and facilities of the absorption center. Soon I was introduced to the essence of the community: the garden. Blooming with enormous corn stalks, pomegranate and fig trees, and passion fruit tendrils, the garden emitted an air of bliss. As individuals of the community approached the garden, it became apparent that the garden served as a community center and an essential component of the absorption center’s performance. I watched as many individuals interacted with their plots within the gardens, however, my interaction with the community members was minimal. 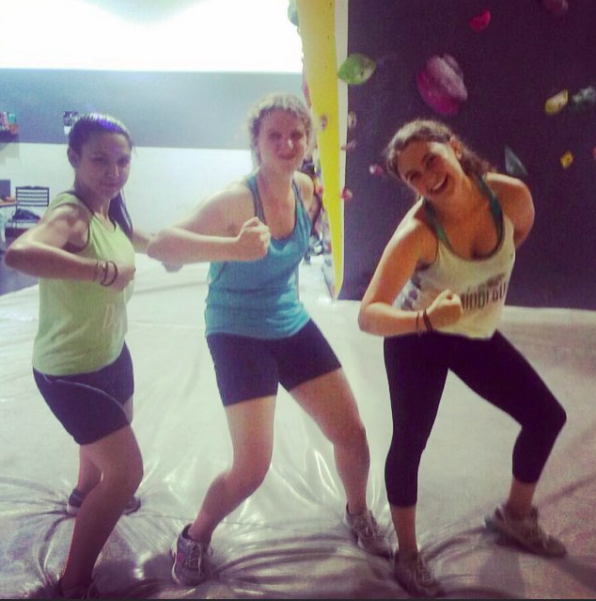 Although the community members surrounded me, I failed to gain an understanding of the community dynamics. However, as I spent more time in the gardens, I was able to familiarize myself with the Ethiopian community through the examination of the gardens themselves. A rudimentary examination of the role of food in a society suggests that food serves primarily as a source of nourishment that enables individuals to meet their dietary needs. Superficially, food can be viewed as an elaborate amalgamation of its constituent parts, fused to form a completed, hopefully palatable, dish or product. However, shallow examination of food proves problematic as it eliminates the cultural and emotional connotations associated with a product. Upon further analysis, food discloses itself as a form of translation, revealing historical and anthropologic information about distinct social groups. 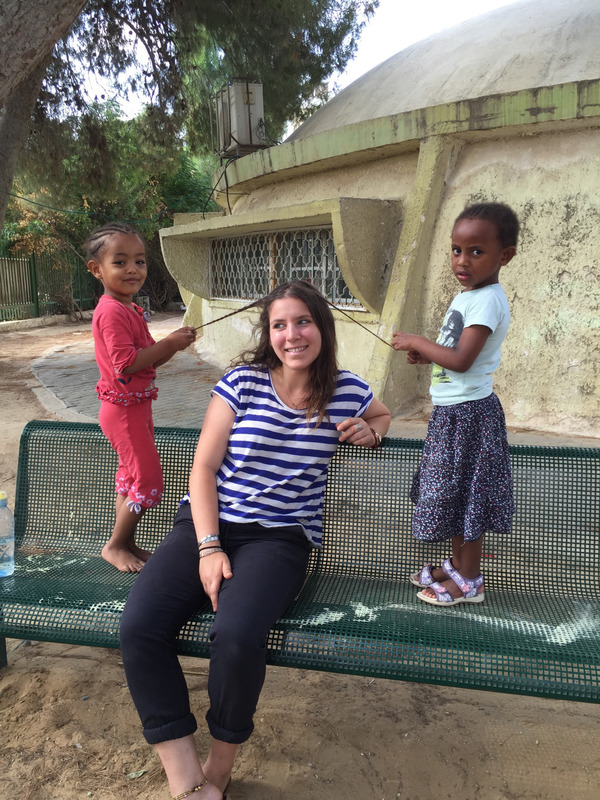 Throughout my experiences in the gardens, I have been exposed to a modicum of the Ethiopian culture within Israel, as revealed through the gardens themselves. 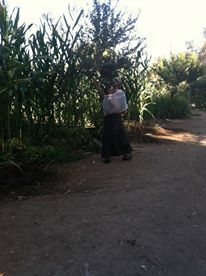 Initially, Ethiopian community gardens resemble any other local garden: green, vibrant, and blooming. However, further analysis of the crops within such gardens reveal a surplus of crops indigenous to Ethiopia including Gomen, a variety of cabbage, Ethiopian corn, which has rough, purple kernels, and Ethiopian basil. Although similar crops are available at retail markets, Ethiopian immigrants make a noteworthy effort to produce Ethiopian crops- thus, the importance of retaining, and perhaps an apprehension of losing, their culture is revealed. Additionally, growing typical Ethiopian crops provides a sense of familiarity to the Ethiopian community in an otherwise unfamiliar atmosphere. Growing traditional crops perpetuates the presence of Ethiopian culture while simultaneously easing the process of absorption into a new community. Additionally, food production systematics within the Ethiopian immigrant community provides insight into the gender roles within Ethiopian communities. In the Ethiopian communities in Israel, generally men work their respective agricultural plots while women tend to children and prepare meals. The distinction between men and women in Ethiopian society became most evident to me through an activity with the children at Kalisher absorption center; as the children were learning about fruits while simultaneously making a fruit salad, a boy diced a peach and stated: “בת אני עליי תסתכלו”- “Look at me, I am a girl. ” In this instance, the production of a dish indicated the gender binaries present within this particular society. Thus, the production of food within Ethiopian-Israeli societies reveals family dynamics within the culture. 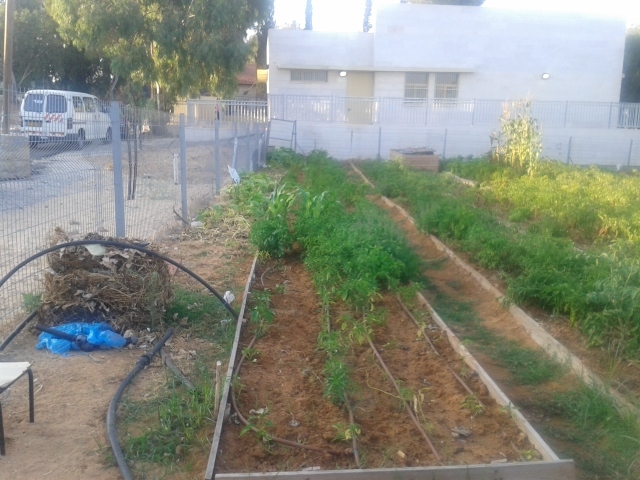 It is interesting to note that community gardens have been established for a variety of immigrant communities- one example being Yaelim, an absorption center for mixed nationalities which houses immigrants from Yemen, Cuba, South Africa, and Tunisia. Although such mixed communities have been provided with the same tools and resources as the Ethiopian immigrants for garden production, it has become evident that Ethiopian immigrants produce higher yields of crops and, overall, provide superior upkeep for their gardens. Such results correctly indicate that Ethiopian immigrants come from an Agrarian community where crop production is central to their culture. Furthermore, the manner in which plots are distributed among members of Ethiopian community gardens provides further insight into the community’s ideals. A variety of systems for plot distribution have been implemented including providing gardens with designated communal plots, individual plots, and plots designated for specific groups (such as floors of an apartment building) etc. The implementation of the varied systems of land distribution provides a clear indication that the more communal the system, the more the garden struggles as a result of decreased interest. Overall, plots attributed to specific individuals or families yield significantly superior results. Thus, the distribution of land among community gardens in Ethiopian absorption centers indicates that the Ethiopian community places a great emphasis and value on the individual. 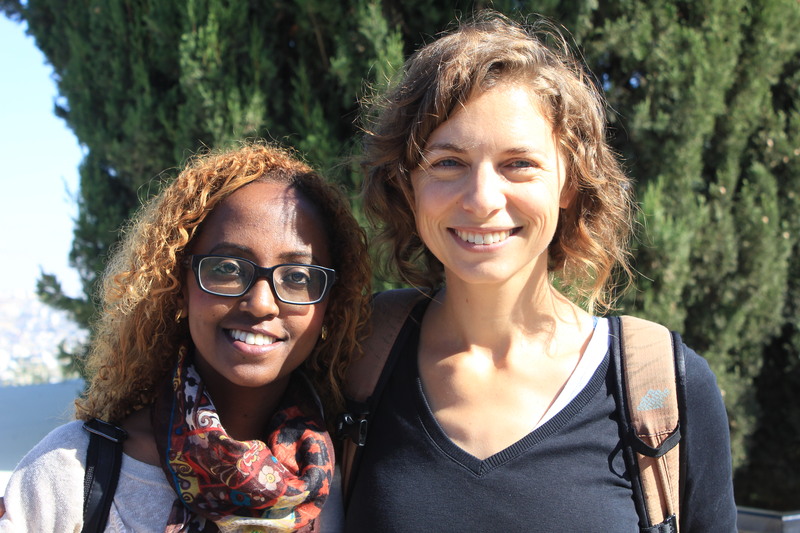 In Ethiopian-Israeli communities, food production reveals information regarding the culture of such communities. 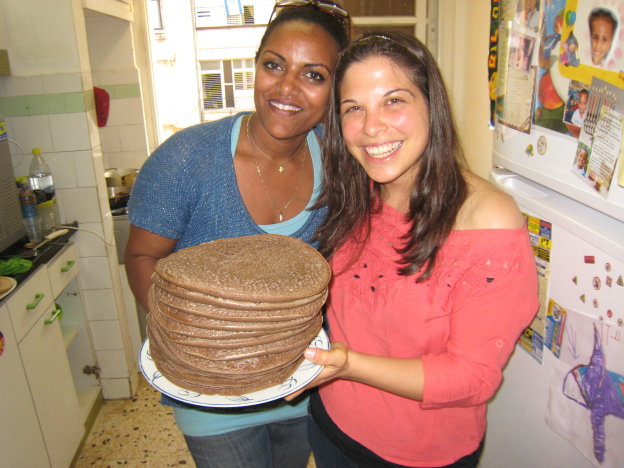 The gender roles, values, and history of Ethiopians in Israel are revealed through the production of food.